Most devices are capable of playing a wide variety of digital media formats right out of the box, often without any required software or firmware updates. If you flip through the product manual you might be surprised by how many different types there are. What makes them different from one another, and should this be important to you? When it comes to digital music, does the format really matter? The answer: It depends. There are compressed and uncompressed audio files, which may have either a lossy or lossless quality to it. Lossless files can be enormous in size, but if have ample storage (e.g., a PC or laptop, network storage drive, media server, etc. ), and you own higher-end audio equipment, there are benefits to using uncompressed or lossless audio. But if space is at a premium, such as on smartphones, tablets, and portable players, or you plan to use basic headphones or speakers, then the smaller-sized compressed files are really all you need. So how do you choose? Here’s a breakdown of common format types, some of their important characteristics, and reasons why you would use them. MP3: Designed by the Moving Pictures Experts Group (MPEG), an organization that develops standards for coded audio and video programs, the MPEG-1/MPEG-2 Layer 3 (MP3) is arguably the most common and supported audio file type. MP3 is both a compressed and lossy audio format, with bitrates ranging from 8 kbit/s up to a maximum of 320 kbit/s, and sampling frequencies ranging from 16 kHz to a maximum of 48 kHz. 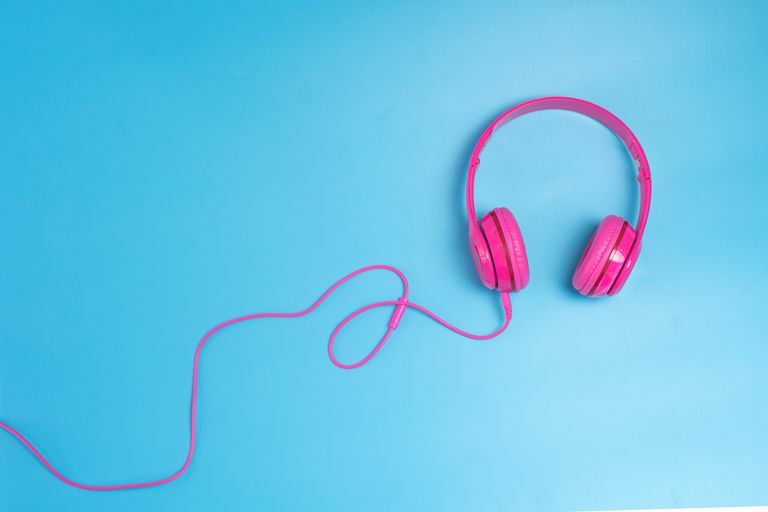 The smaller file sizes of MP3s means faster file transfers and less space used, but at the cost of some reduction in sound quality when compared to lossless file formats. AAC: Made popular by Apple iTunes, the Advanced Audio Coding (AAC) format is similar to MP3, but with one added benefit of greater efficiency. AAC is both a compressed and lossy audio format, with bitrates ranging from 8 kbit/s up to a maximum of 320 kbit/s, and sampling frequencies ranging from 8 kHz to a maximum — with the right encoding process — of 96 kHz. AAC files can deliver the same audio quality as an MP3 while taking up less space. ACC also supports up to 48 channels, while most MP3 files can handle only two. AAC is widely compatible with but not limited to iOS, Android, and handheld gaming devices. WMA: Developed by Microsoft as a competitor to the MP3, Windows Media Audio files offer a similar, albeit proprietary experience. The standard WMA is both a compressed and lossy audio format, although newer, distinct sub-versions with more advanced codecs can offer a lossless option. While many types of portable media and home entertainment players support WMA files by default, few mobile devices like smartphones and tablets do. Many require downloading a compatible app in order to play WMA audio, which can make it less convenient to use versus MP3 or AAC. FLAC: Developed by the Xiph.Org Foundation, the Free Lossless Audio Codec (FLAC) has much appeal because of its royalty-free licensing and open format. FLAC is both a compressed and lossless audio format, with file quality able to reach up to 32-bit/96 kHz (by comparison, a CD is 16-bit/44.1 kHz). FLAC enjoys the advantage of a reduced file size (about 30 to 40 percent smaller than the original data) without having to sacrifice audio quality, which makes it an ideal medium for digital archiving (i.e., using it as the master copy in order to create compressed/lossy files for general listening). ALAC: Apple's version of FLAC, the Apple Lossless Audio Codec (ALAC) shares much with respect to audio quality and file size with FLAC. ALAC is both a compressed and lossless audio format. It's also fully supported by iOS devices and iTunes, whereas FLAC may not be supported. As such, ALAC would most commonly be used by those using Apple products. WAV: Also developed by Microsoft, the Waveform Audio File Format is a standard for Windows-based systems and compatible with a variety of software applications. WAV is both an uncompressed (but can also be coded as compressed) and lossless audio format, essentially an exact copy of the source data. Individual files can take up a significant amount of space, making the format more ideal for archiving and audio editing. WAV audio files are similar to PCM and AIFF audio files. AIFF: Also developed by Apple, the Audio Interchange File Format (AIFF) is a standard for storing audio on Mac computers. AIFF is both an uncompressed (there is also a compressed variant) and lossless audio format. Like Microsoft's WAV file format, AIFF files can take up a lot of digital storage space, making it best for archiving and editing. PCM: Used to digitally represent analog signals, Pulse Code Modulation (PCM) is the standard audio format for CDs, but also for computers and other digital audio applications. PCM is both an uncompressed and lossless audio format, quite often acting as the source data for creating other audio file types.